iPhone has the privilege to get all the good apps and games first than any other mobile platforms like Android and WP7. However, they compensate the difference in some way. We can take an example of the most famous game “Angry Birds”. No doubt it was released for iPhone first but one thing that Android users will appreciate is that it is available for free on Android. 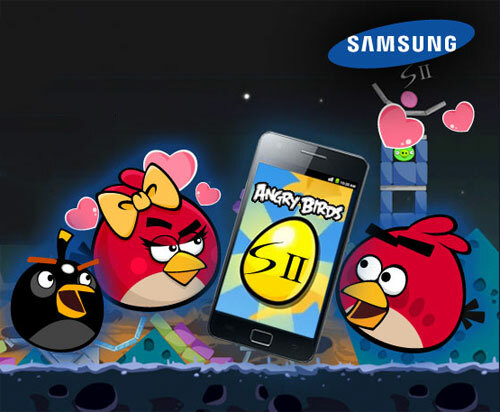 Another great advantage that Samsung Galaxy S II users will have is the dedicated level in Angry Birds which is released specially for them. This level is known as the Golden Egg level. The level is quite different from the one you have seen before. The birds can fly farther than before. Shortly, you will enjoy the game with whole new fun. One thing that you want to know is that the Golden Egg is the third level in the Summer Pignic of Angry Birds Seasons. That’s all we have to tell you. You can check the rest of it on your own.